MeGrow is a simple baby tracker and logger that helps to keep track of your baby’s life timeline and infant growth progress, understand the developmental rhythms of your particular baby and get aid in your baby's care. MeGrow is an easy-to-use baby diary app for parents, baby-sitters, and other caregivers you can actually love. Whether you're a new mom or juggling your third, MeGrow Baby Tracker is a powerful and easy to use baby care routine and baby milestone tracker. 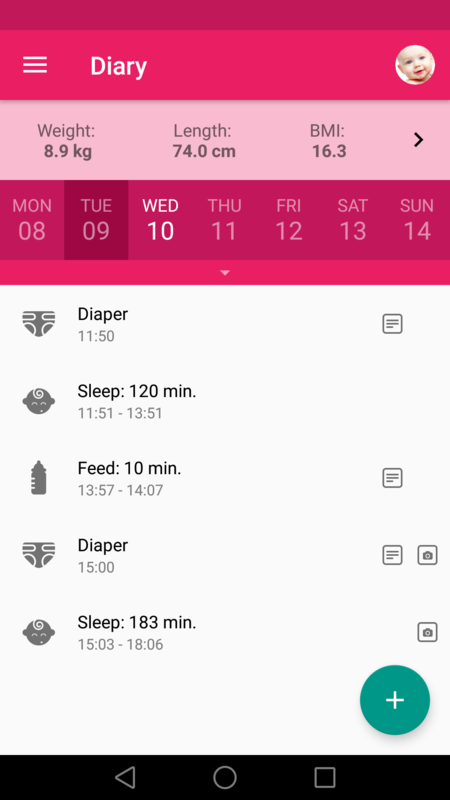 This baby diary app offers a simple, streamlined way to track your baby’s daily habits, health, and exciting “firsts” and baby milestones. Log baby feedings, diaper changes, baby growth, and sleep time with a quick one-handed tap, then feel free to go back later and add details, and even baby milestone photos. Give your overloaded, sleep-deprived brain a break and focus on actual parenting! ~ Did I feed from my left or right the last time? ~ When did we add solid foods? ~ What had we eaten before the rash appeared? ~ Has nanny taken the baby for a walk? ~ What did granny feed my little with? 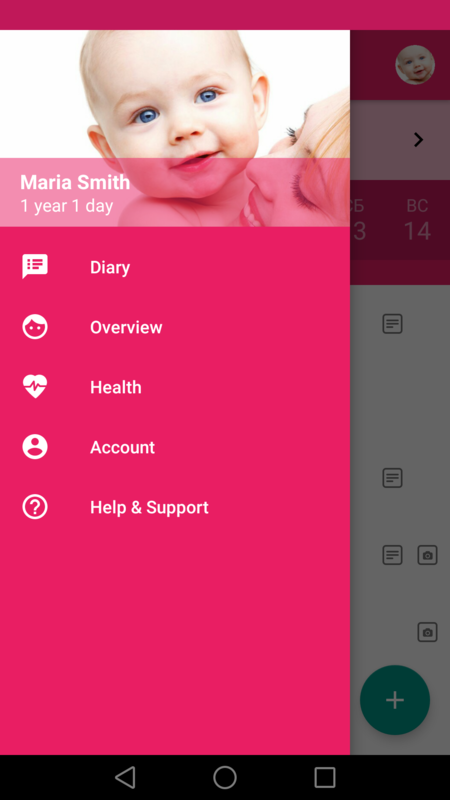 Entries in Baby Diary help you remember important things and monitor daily progress of your baby. At the beginning, every detail is essential and worth to remember. ~ Is this weight healthy? And growth? ~ How many teeth should my baby have by this age? ~ Is not it time to learn counting? ~ What do other kids know at this age? Use the baby log to compare developmental norms and skills with the WHO recommendations and American experts. Be sure that your baby is developing well. ~ When our DTP vaccination is scheduled? ~ Is not it time to test baby’s eyesight? ~ What shall I teach my baby at 6 months? ~ When have I arranged an appointment with the dentist? ~ I must not forget to buy diapers. Get timely tips on skills development, medical procedures, diaper use, breastfeeding or simply create reminders. Remember to take care of the baby when busy. Log breastfeeding, nursing sessions, and all the details of your baby’s timeline and look back at baby logs and check when their naps emerged, how big they were at certain ages and especially when certain milestones were reached. Keep track of breastfeeding time, diaper changes, sleep time, activities, baby’s mood, baby sleep schedule, and everything else that is important especially in the first few months of baby's life. 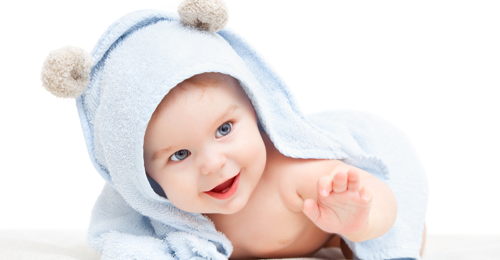 Check your baby's growth progress and get a general picture of how your baby is developing physically. Compare your baby's measurements — weight, length, and BMI — to pediatricians’ recommendations and determine whether your baby is growing in a healthy way. Your baby first begin crawling? Something significant happened? Add media to your baby log entries and have baby milestone photos for whatever special occasion at your fingertips. Plan doctor’s visits, vaccination schedule, baby feeding, useful pastime and exercises, and give your overloaded, sleep-deprived brain a break. 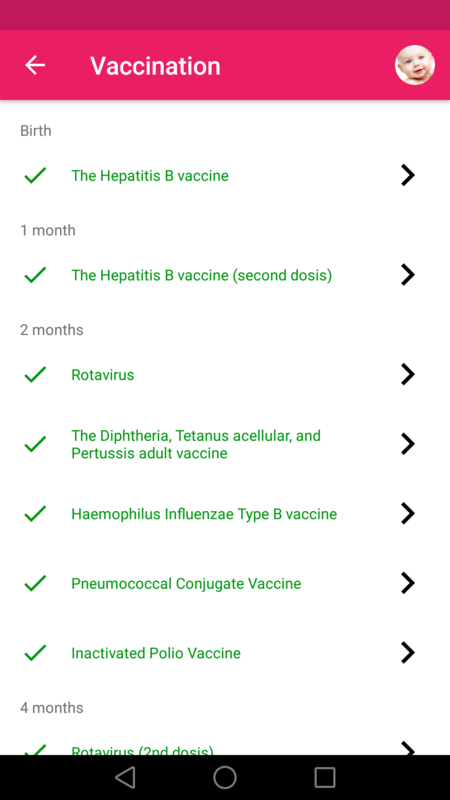 Check what vaccination suggested for your baby age, log which baby vaccines have been inserted, and aim in your baby's care with your pediatrician. 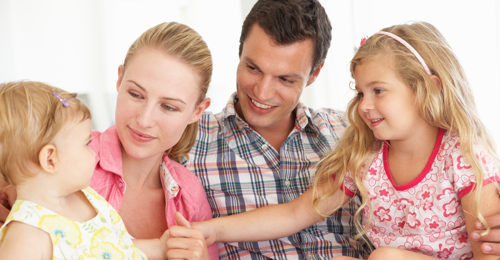 Get personal developmental guidelines suitable precisely for your baby. Share short notes about your baby’s achievements in your favorite social networks in one click. Connect grannies, grandpas, your nanny to the baby tracking app, and get notifications when your baby is with them. Add your cloud storage to the MeGrow baby tracker using the settings and keep the data safe. * After expiration of a trial period the app starts working in limited functionality mode with ads. The first year of growing up my darling daughter was pretty difficult. Little time for sleeping, lots of new duties. I don’t know what I would do if my hubby had not found MeGrowApp. With the help of the app I have managed to wind down because now I know that all the important things are always at hand. I love it! I had my first baby 3 months ago, and with MeGrow I felt more educated on the subject. Very comforting especially for the first time moms after baby birth when things seem so crazy. Will recommend you for sure! I have already recommended MeGrow to all of my friends who have small babies or are about to become moms. This app not only gives great tips about baby development and care, it also keeps me sane in learning that some behaviors are normal for my son’s age and in knowing what to expect. My best recommendation to this app for all parents to be! © 2017 MeGrowApp.com. All Rights Reserved.